The War of the Thistles keeps raging on in 2017! Put the dates of 1st and 2nd of April in your diary and prepare yourself for battle. 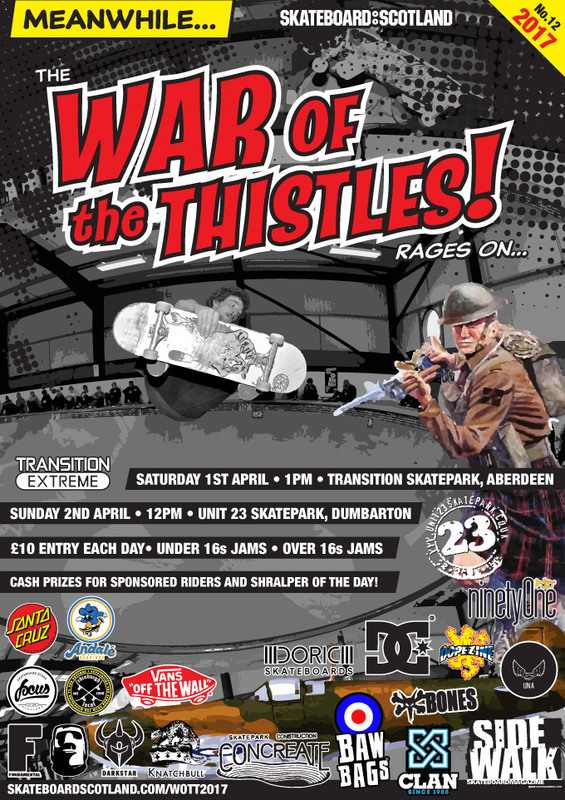 Sunday 2nd April, 12pm – Unit 23 Skatepark, Dumbarton. £10 entry on the day. Under 16s jams • Over 16s jams • Cash prizes for sponsored riders and Shralper of the day!